Our lift vans are manufactured on-site for use during international removals, enabling safe storage of items inside shipping containers. We manufacture sizes to suit including the standard size 2235 x 1180 x 2184 millimetres or 88 x 46.5 x 86 inches (external dimensions). All timbers used conform to ISPM 15 standards and are stamped as such. 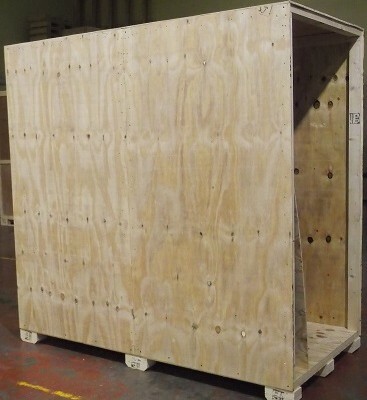 Our lift van cases are supplied assembled or flat-pack as required.